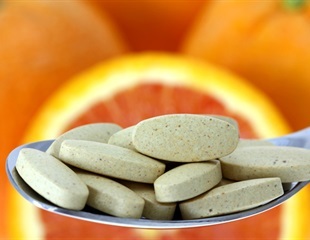 Vitamin C administration shortened the length of stay in the intensive care unit on average by 8% in 12 trials with 1766 patients according to a meta-analysis published in Nutrients. The body's ability to adapt to changing conditions and shifting physiologic demands is essential to survival. To do so, each cell must be able to dispose of damaged or unnecessary proteins--a quality-control mechanism critical for cellular performance and for the health of the entire organism. New research suggests that drinking sugary, caffeinated soft drinks while exercising in hot weather may increase the risk of kidney disease. The study is published ahead of print in the American Journal of Physiology--Regulatory, Integrative and Comparative Physiology. Heather Caldwell, Ph.D., a professor in Kent State University's Department of Biological Sciences, recently received a $450,000 grant to study the role that oxytocin plays in the developing brain. Alterations to the respiratory microbiome have been identified as a predisposing factor of interstitial lung diseases. In a study at CHEST 2018, researchers at Beaumont Health Systems studied the influence of bacterial virulence on clinical outcomes patients hospitalized with ILD patients. Children with autism often find social interactions awkward, leaving them isolated. Now in a study appearing in ACS' Journal of Medicinal Chemistry, scientists report that they have discovered a first-of-its-kind compound that promotes social interaction among laboratory mice that display autistic traits. At least 25 percent of critically ill patients who receive mechanical ventilation in intensive care units develop muscular weakness severe enough to impair their quality of life. When people produce excessive amounts of urine - more than three litres each day in adults is considered too much - doctors often find it difficult to establish a diagnosis under certain circumstances. New research provides support for the long-term efficacy of a drug used to treat in patients with autosomal dominant polycystic kidney disease, a common cause of kidney failure. Deep in the middle of our heads lies a tiny nub of nerve cells that play a key role in how hungry we feel, how much we eat, and how much weight we gain. Around the clock, they produce a "grandfather" form of several hormones that help us regulate these crucial functions. Advances in battlefield trauma care, fueled by evidence-based research and practice, are saving lives in both combat and civilian settings. The discovery of a puddle of mouse urine seems like a strange scientific "eureka" moment. However, for one team of researchers, that's exactly what led to a new discovery. Sixty years after Cleveland Clinic researchers first isolated the role of angiotensin II in controlling blood pressure, a new international study led by Cleveland Clinic researchers shows that the compound can safely improve blood pressure among critically ill patients who are experiencing life-threatening hypotension, or low blood pressure. Fathers given boosts of the hormone oxytocin show increased activity in brain regions associated with reward and empathy when viewing photos of their toddlers, an Emory University study finds. In a recent study published in "Scientific Reports", an international team of researchers led by MedUni Vienna report that an oxytocin-like neuropeptide ("inotocin") exhibited a specific pharmacological profile for the human receptors of oxytocin (known as the "love hormone") and vasopressin. Using leading-edge technology, neuroscientists at Beth Israel Deaconess Medical Center gained new insight into the brain circuitry that regulates water and food intake. Type 1 diabetes patients with elevated albumin in their urine had three times the risk of life-threatening kidney and cardiac disease as those with normal levels, according to researchers at the University of Colorado Anschutz Medical Campus. The brain regulates social behavior differently in males and females, according to a new study published today in the Proceedings of the National Academy of Sciences.